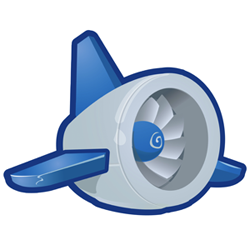 Google’s App Engine, a platform that helps developers build web applications by streamlining some of the work they’d typically have to do themselves, is getting a big upgrade today. The App Engine team is calling today’s 1.4.0 release the biggest they’ve done this year, with features that include: a new Channel API that makes it much easier to build real-time Push events into your app; ‘Always On’, which lets developers pay $9 per month to keep three ‘instances’ of their application alive at all times; and Warm Up Requests, which automatically load instances of applications just before they’re needed, which helps reduce load times when users begin accessing the application. App Engine is also increasing some of its API limits. Developers will now be able to run background tasks (like cron jobs) that have a 10 minute limit, instead of the existing 30 second limit for user-based tasks. Size limits on URLFetch, Memcache, and Image API have all been boosted from 1MB to 32MB; the Mail API limit for outgoing attachments has been boosted from 1MB to 10MB. Finally, there’s a new ‘high replication datastore’ that’s being rolled out, that will minimize how often developers’ data is inaccessible due to scheduled downtime. App Engine’s Technical Lead and Manager Kevin Gibbs and Product Manager Sean Lynch say that the new changes will help minimize developer headaches across the board — the previous API limits, they say, were frustrating to some developers, while scheduled downtime could draw the ire of their customers. And the new push capabilities and file size limits open the door to new kinds of apps that can be built on App Engine. 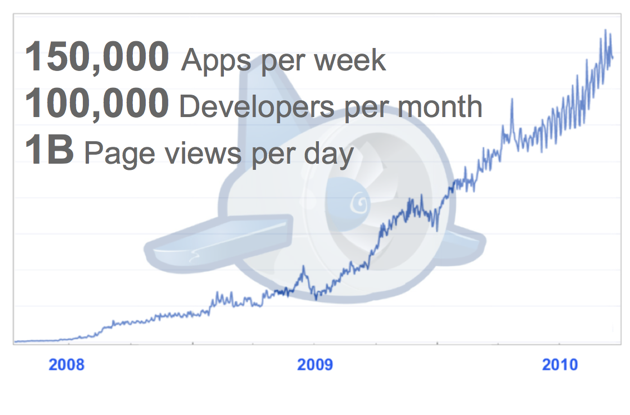 In addition to today’s new features, the App Engine team is also announcing some of its recent stats. The platform now serves 1 billion page views per day across all of its applications, and is used by 100,000 developers per month. Below is a graph showing how the number of page views has increased over time.